Injector circuit open or short. Check the primary fuel injector coupler (1) for loose or poor contacts. If ok, then measure the injector resistance. 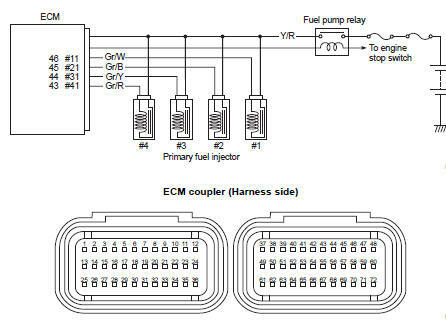 Disconnect the injector coupler and measure the resistance between terminals. If ok, then check the continuity between each terminal and ground. Are the resistance and continuity ok? Go to step 2. Replace the injector with a new one. 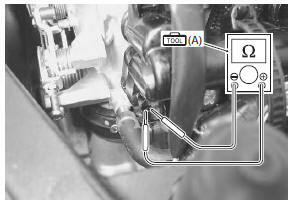 Refer to “throttle body disassembly and assembly” in section 1d . Measure the injector voltage between the y/r wire and ground. 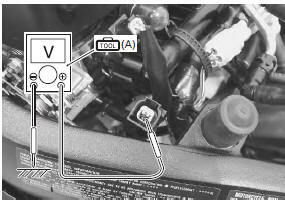 injector voltage can be detected only for 3 seconds after ignition switch is turned on. Gr/w wire open or shorted to ground, or poor “46” connection (#1 cylinder side). Gr/b wire open or shorted to ground, or poor “45” connection (#2 cylinder side). 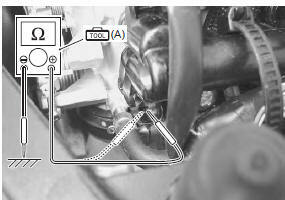 Gr/y wire open or shorted to ground, or poor “44” connection (#3 cylinder side). Gr/r wire open or shorted to ground, or poor “43” connection (#4 cylinder side). Open circuit in the y/r wire.